Madeline Kaplan, author of "Planet Earth Gets Green" gets a lot of national media attention for her great book. Last week she was interviewed by Radio Green Earth of South Florida, and had an interesting talk on her book, the collaboration with the Earth Day Network and about Eco-Libris that partners with her to plant a tree for every printed copy! 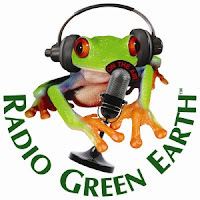 Radio Green Earth is an interesting a weekly environmental radio show and their goal is "to educate listeners on environmental issues and share ways to reduce your environmental footprint and live more eco-responsible lifestyles." Definitely a good fit with "Planet Earth Goes Green". This show is available at http://www.radiogreenearth.org/oct0509.html. You're welcome to listen to the interview with Madeline Kaplan, which starts after 23 minutes from the beginning of the show. 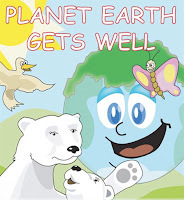 More about the book: Planet Earth Gets Well by Madeline Kaplan, illustrated by Taillefer Long, addresses environmental concerns in a child-friendly format, based on the author’s awareness that future generations must be prepared to preserve their planet and its resources. The Chicago Bulls are promoting Green Reading and Eco-Libris is taking part in it!